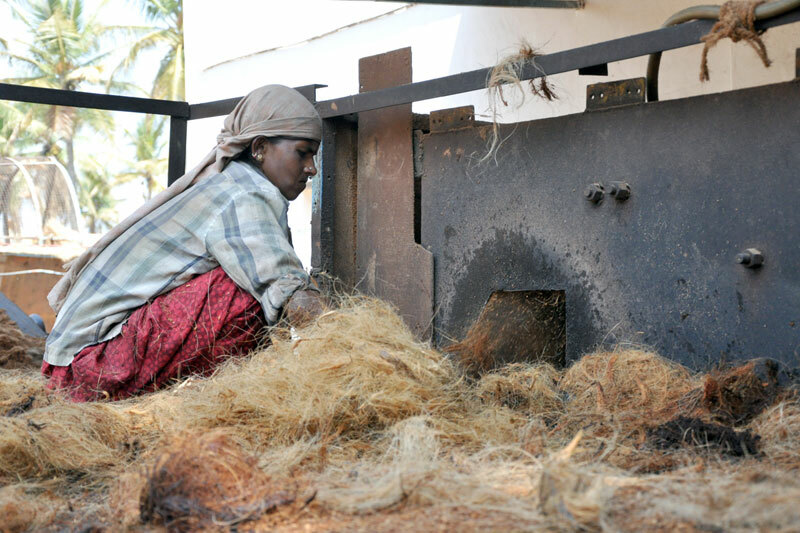 The dried coconut husk is gathered for fiber extracting. The husk is sent inside the defibering machine (beater). The extracted fiber is coming out from the machine. The fiber is being transported to the refining machine. The artisan sending fiber into the machine. The overview of refining machine. The double refined fiber is piled. 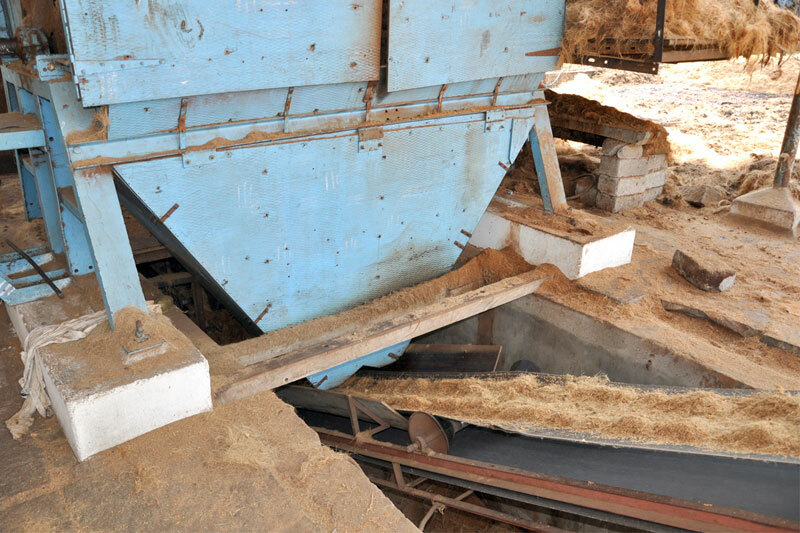 The waste husk powder is separated automatically inside the machine. The husk powder is sent for filtering process. 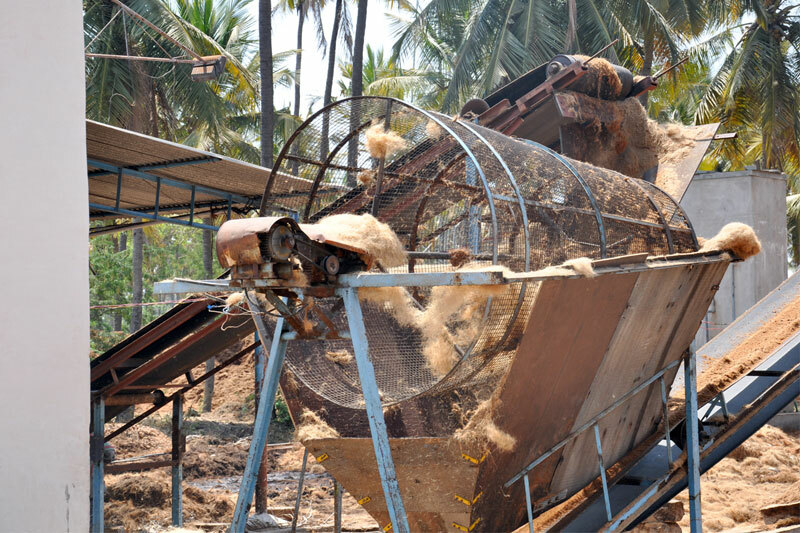 The circular grill that separates coir and pith. 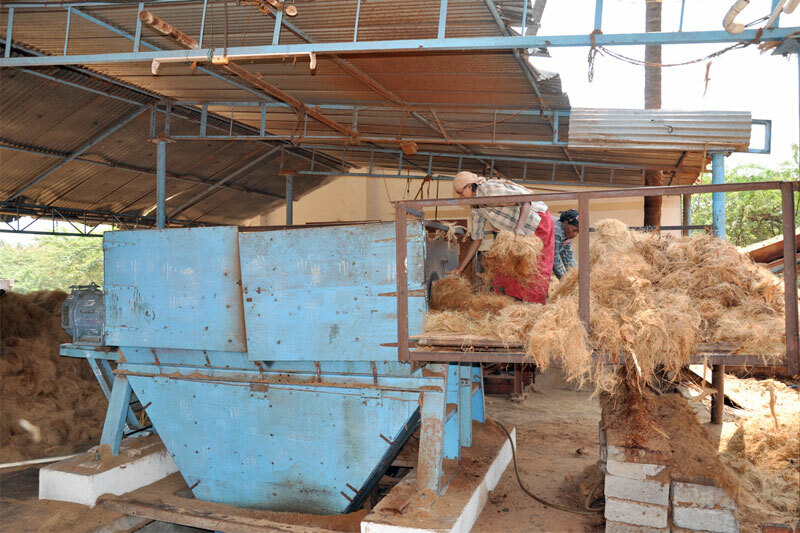 The coir pith is recycled to prepare bricks. Hiriyur is located 40 km away from the Chitradurga district in Karnataka state. 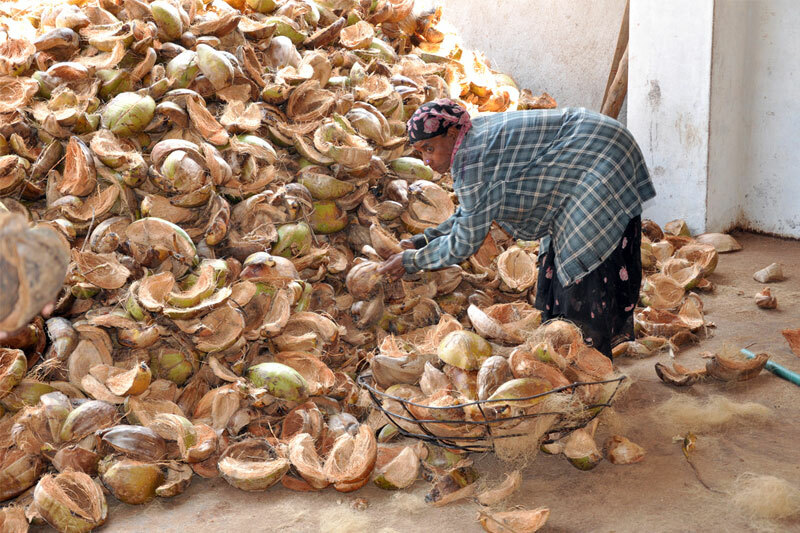 Hiriyur is one of the major producer of coconuts due to good climatic conditions and abundant availability of Vedavati river water. 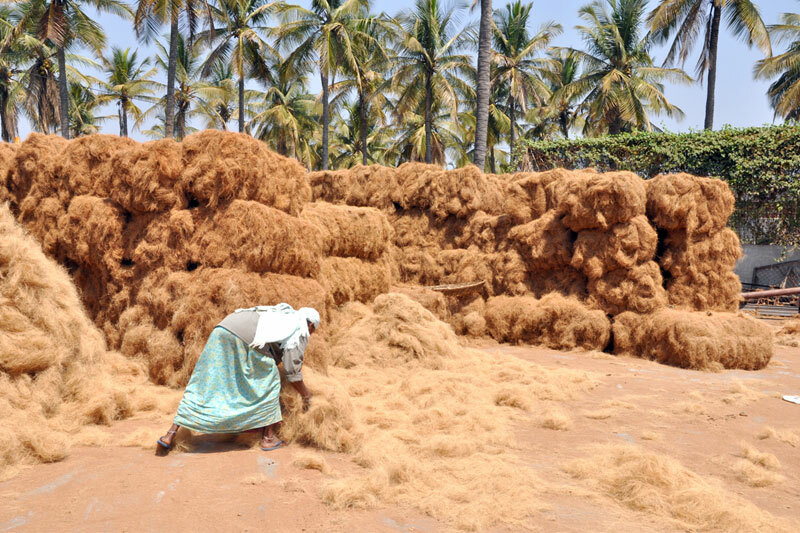 Coir is the natural fiber which is extracted from coconut. 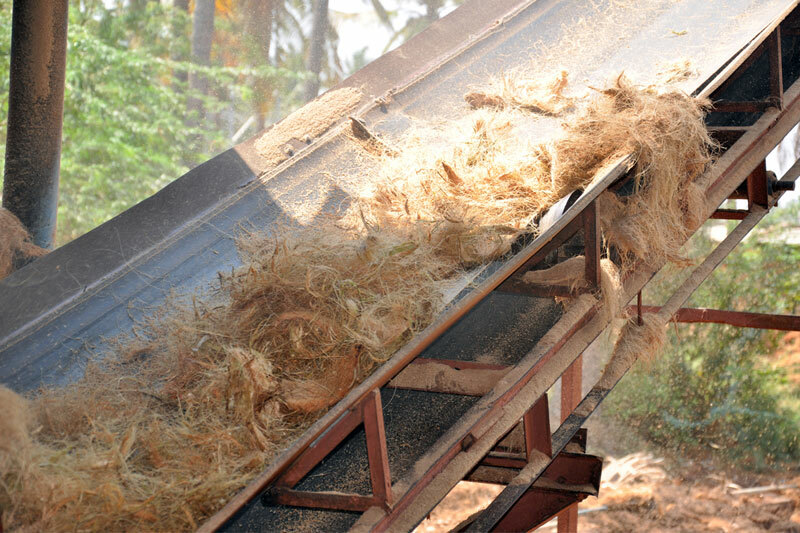 The fiber which is extracted from coconut husk is processed in automated machines to remove the fiber. 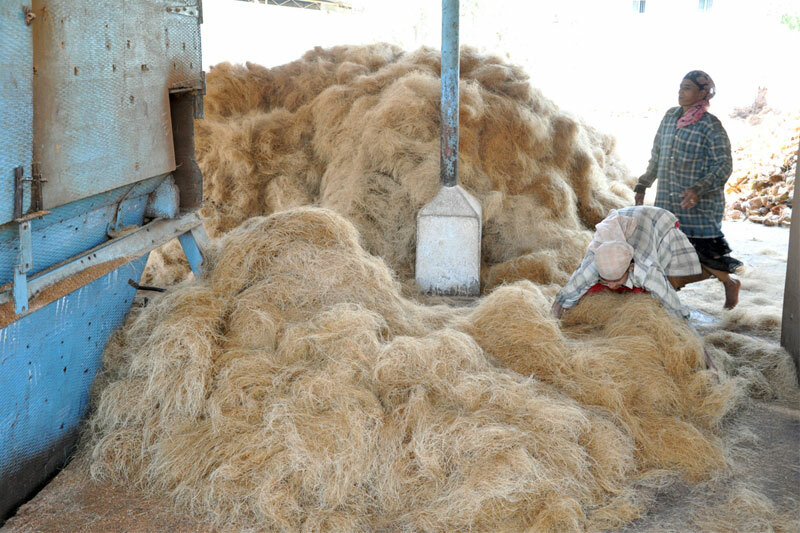 Then the processed fiber is manually entwined into coir ropes. The dried husk is taken to the defibering process. The husk is directly sent into the defibering machine. The machine separates the fiber from the husk. 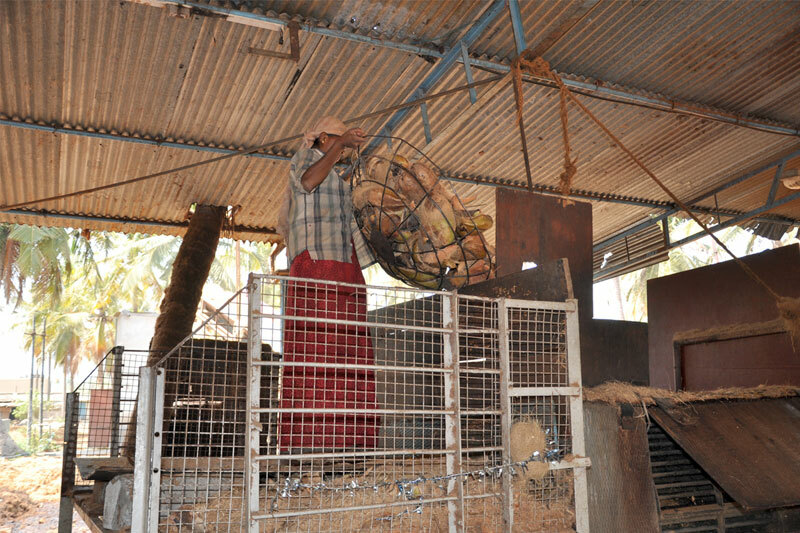 This extracted husk is again refined to remove the impurities and the hard coconut skin. 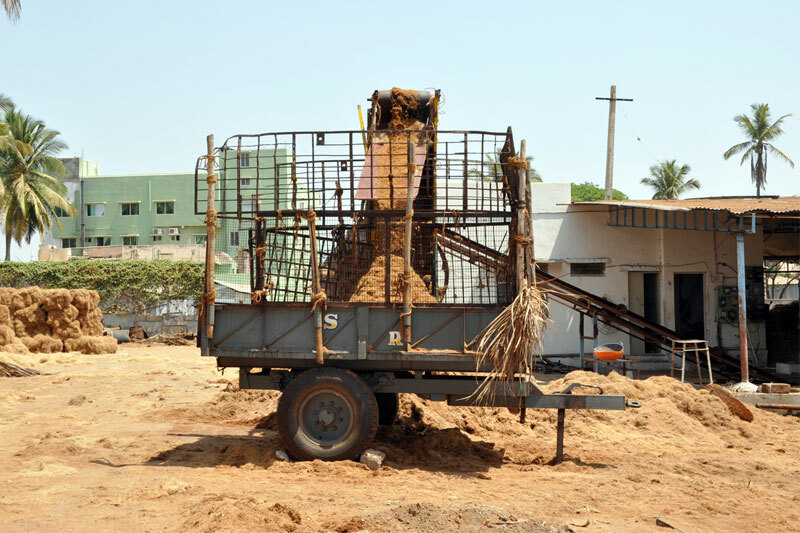 A different machine is used to refine the husk. 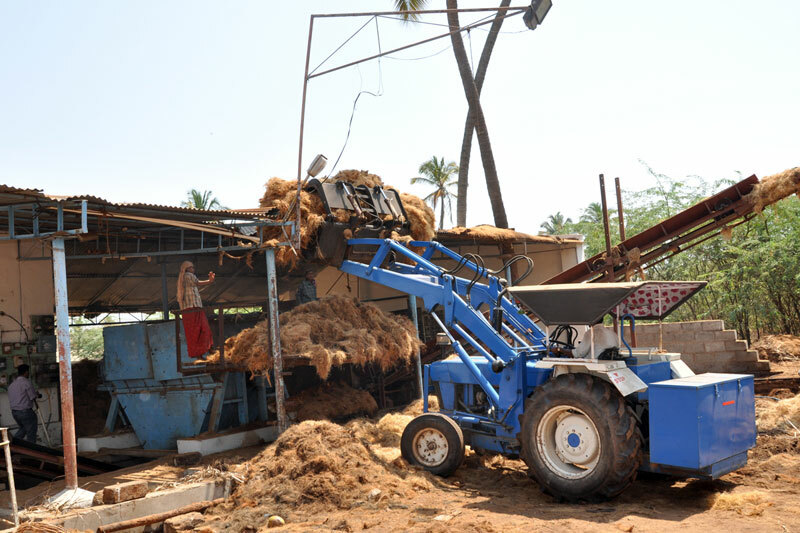 The refined husk is gathered and piled which is again sent for the twine making process. 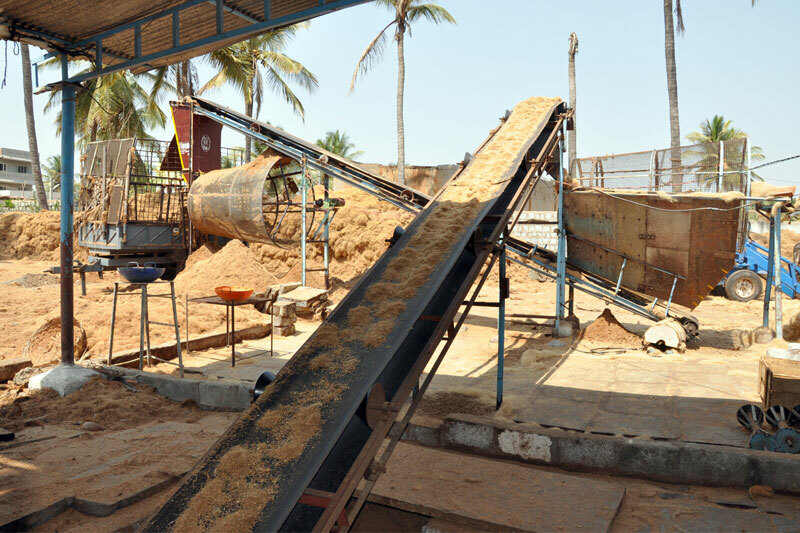 During the refining process the coir pith which is separated by the machine is utilized to prepare the bricks and house hold mats.